Are you a Minecraft fanatic? 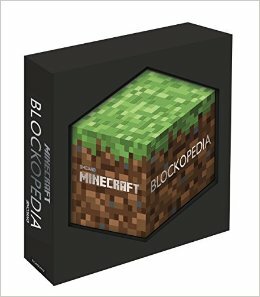 Minecraft: Blockopedia by Alex Wiltshire is the most definitive reference for all things Minecraft, providing detailed entries for blocks, plants, ores and everything else you need to know about the game. 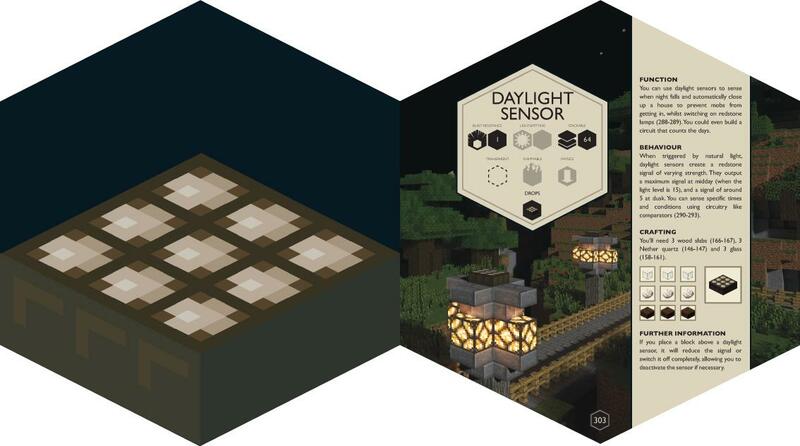 The world of Minecraft is made entirely of blocks. Some help you build, some help you stay alive. Every block you discover opens up new possibilities and exciting adventures. The Minecraft: Blockopedia is fully illustrated and packed with essential information about each block and its uses. From basic plants and ores to enchantment tables and End stone, you’ll find every single block in here. Blockopedia contains everything you need to know to make the most of the blocks that make up your world — it’s a comprehensive reference tool for beginners and more experienced players alike. This hexagonal hardback book is presented in a stylish gift box. Scholastic, $49.99 hardcover. All ages. Congratulations to winners Charlie and Henry! This entry was posted in Book Reviews and tagged Freebies, homepage, Slider on May 14, 2015 by Clay Swartz. If you are in pack 220, You are in Michigan and in te school Holly Academy, You can get this book on book orders! when will the winners be said? Hey Hammer! I’m posting winners today. Good Luck! Stinky bomb, where’s my BOOK???????????????????????? I’ve actually won a few contests, so I don’t think it’s 1 in 10,000. I can’t believe how many comments you posted Minecraftpigkiller!!! there’s so many!!!!!!! I’d be really happy if I got one of them. Whatever I took, it will be that book!!!!!!!!!!! Minecraftpigkiller, I doubt you need one but I do so heand off! Bwahahahahahaha!!!!!!!!!!!! What is the best Minecraft food? DESTROYER50000!!! SERIOUSLY!!! ENOUGH WITH THE EXCLAMATION MARKS – THERE’S SO MANY I CAN’T COUNT!!!! You all are going down. I need it!If I get it I’ll be so happy that I’ll actually make a working submarine in Minecraft…and then blow it up. InsaneNarwhal, no offence I doubt you know everything about Minecraft but if you do that’s impressive! As you don’t want it, I do! I would like it but I know everything about minecraft. ANYTHING! QUIZ me if you don’t believe me! Hey buddy, no offence Destroyer5000 you’re not gonna win, I am! So enough with the exclamation marks! No offence silly philly, you don’t need all those ‘e’s in the need!!!! QUIET I GET IT!!!!!!!!!!!!!!!!!!!!!! NOW LAY OFF MY BOOK!!!!!!!!!!!!!!!!!!!!!!!!!!!!!!!!!!!!!!!!!!!!! Destroyer5000…enough with the comments! You have basically 20 comments posted! There are so many there will only be your comments! AGAIN!HANDS OFF BUDDY!!!!!!!!!!!!!!!!!!! AND I MEAN NOW!!!!!!!!!!!!!!!!!!!!!!! I want one too! Hands-off buddy!!!!!!! how do I win blockopedia?